I have just made my debut as a cover corpse. I did once have a death mask made, but that was small potatoes. Now, on bookshelves across the country, I lie with a large kitchen knife sticking up out of my blood-drenched blouse. 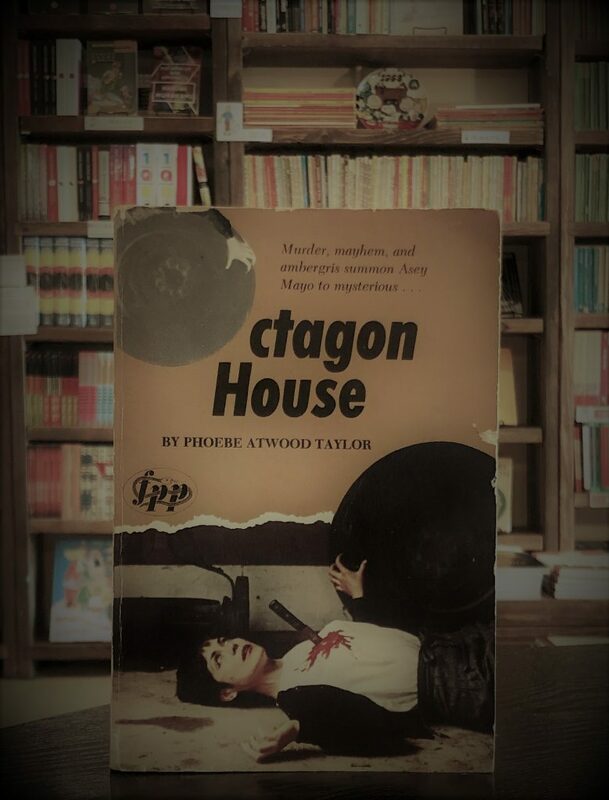 I am smartly dressed, befitting the model murdered in Octagon House, one of three classic Cape Cod mysteries of the thirties by Phoebe Atwood Taylor being reissued in paperback by Foul Play Press ($4.50 each). When I asked who killed her/me, I was told, “Many people had reason.” I have since read the book, and I/she deserved it. 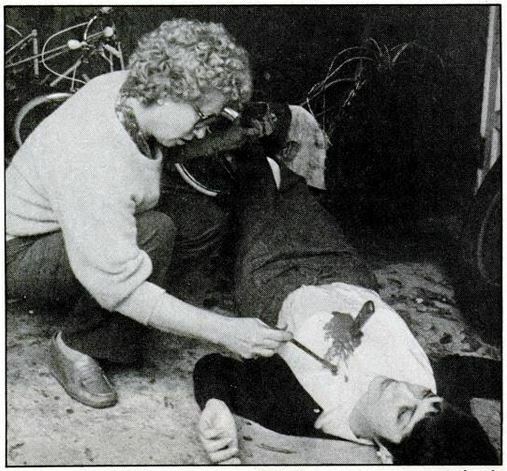 “Brener: Foul Play gives Murder Ink. owner a taste of death. 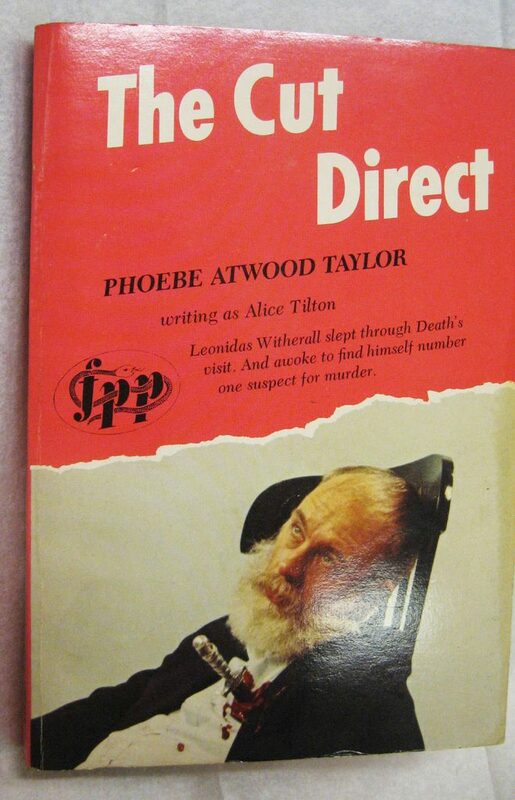 The other two corpses in the series are artist Edward Gorey and Dilys Winn, founder of Murder Ink. (the bookstore that I now own) and Edgar winner for the best-selling Murder Ink, the Mystery Reader’s Companion. The three Taylor books, with their cover corpses, are lined up smack at eye level in my store, but no one recognizes me or my cohorts. Elma Lipscomb, however, who cleans my apartment, knew me the instant she saw the cover. I am told she carries the book on all her jobs. No one messes with Elma these days. Below is our January 2019 edition of ‘Coming Up For Air’, a monthly column we write for Ming Pao’s English language section, reprinted here in its entirety with the permission of the folks at Ming Pao. The letter came from a large law firm and warned us not to sell a certain book. The book at issue was a newly released biography about a very rich and prominent individual who had at one point in time dated the likes of Paris Hilton but who is now considered a fugitive from justice. The letter claimed that the biography was defamatory and full of lies. It did not mention of course that the biography had passed the vetting process of one of the world’s largest publishers, or that, at the time the letter was written, the book was already the subject of several talks that were scheduled to take place at prominent venues around Hong Kong, including the Hong Kong International Literary Festival and the University of Hong Kong. The letter called on us to do two things: to avoid the book as if it were the plague — that meant we couldn’t stock it, sell it, distribute it, write about it, etc., — and to reply in writing with a pledge that we would avoid the book as if it were the plague. If we failed to do either of those things we would be sued. My first reaction upon receiving this letter was to toss it in the trash. There was zero chance the book would end up on our shelves. Biographies about shady moguls are not the kinds of titles we stock at our bookshop, no matter how salacious or explosive their content. Writing and sending threatening letters is also common practice among lawyers and I knew from past experience that not all such letters warrant a response, either because their claims have no merit or because it would never ripen into a full-blown lawsuit. Nor did I want to start down the slippery slope of self-censorship. Even though I had no plans and never would have plans to sell this biography that was causing all this stir I wanted to leave the door open to the prospect of changing my mind. The last thing I wanted was to over-react to what may very well have been empty threats and box myself in to the point of no-return. Lastly, I didn’t want to give the lawyer whose job it was to track down and threaten fledgling, indie booksellers like ourselves the satisfaction of a reply. Granted, my reply (if I sent one) probably wouldn’t have gone to the lawyer whose name appeared at the end of the letter but to one of his lowly, debt-ridden, nameless associates who did most of his dirty work. But then I started thinking about our bookshop and all the time and effort everyone here has spent to make it into the special place we think it is today. It would be the height of irresponsibility if I put all that at risk just because I couldn’t get over my own feelings of anger and disbelief at having been singled out by this law firm. And then my thoughts turned to the time I was a lawyer, all the demand letters I’ve sent or received during that time, and how important it was for me to receive a response to or follow up on these letters — mostly because it was the responsible thing to do, even if the end result was more litigation. So if the lawyer who handled this case was worth his salt he would make us feel the pain for not replying to his letter. We are in receipt of the attached letter. We have no interest in your client, his life or any books that have been or will be written about him, including the one referenced in your letter. That means we will not waste our time or money to order or stock the book referenced in your letter or sell or distribute it in any way. Nor do we have any pre-sale orders for the book since we don’t sell it at our bookshop and have no plans to sell it. Hope that gives your client the peace of mind he is trying to buy. So who won when all was said and done? 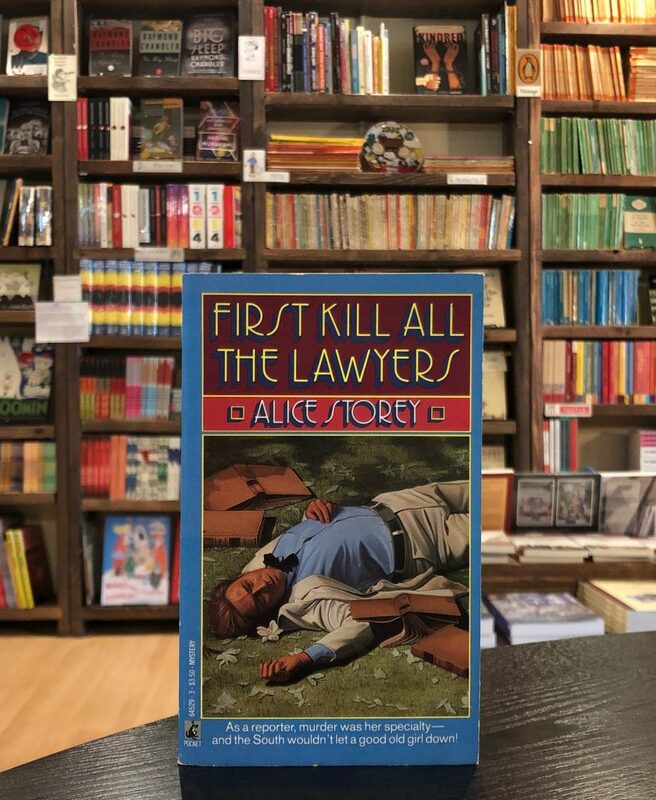 The lawyer and his client received the commitment they demanded and the book hasn’t reared its ugly head in our bookshop. But they’ve also left us alone since then. No more threats. And thank god no lawsuits. It is hard though not to think about what might have happened had we never received the letter. Was the threat of litigation all it took to scare regular folks like ourselves into submission? Would the book have made its way into the bookshop had it not been for the letter, even as a used book (not that anyone has tried to sell or give it to us)? Hard to tell. But one thing’s for certain: another book will be published, someone will be unhappy with it, and there will be no shortage of lawyers for this person to hire who will do their best to make this book disappear. Available from Ming Pao via direct link here.